Sean, from OpenITC, has sent in some new offers for LowEndBox readers! 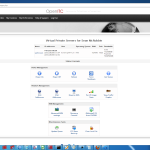 This time, he sent both OpenVZ and KVM offers. OpenITC have been in business for over 6 years and their company is a registered ‘partnership’ in the UK. 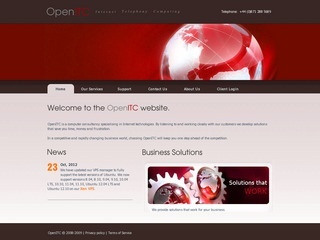 They were featured many times before under their subsidiary “XenVZ” and later as OpenITC. XenVZ were first listed in 2008 and, we suspect, once offered the cheapest vps plan ever at the time. Users will use OpenITC’s own custom coded control panel to manage their virtual servers as apposed to the popular SolusVM. KVM users can even use Spice with TLS rather than the relatively insecure VNC. Also, the KVM servers come with two IPv6 /64 subnets. All these servers run on a host node with dual hex core E5-2630s with a battery-backed RAID card and dual power supplies. The OpenVZ offers are hosted on SSD drives. Please leave any reviews or remarks in the comments! With OpenITC’s panel, you can install any Operating System you like via the recovery console (VNC or Spice with TLS) and you can virtually mount any CD/DVD from a HTTP server, basically allowing you to install any .iso (KVM only). You can also set the disk driver and the network model (KVM only). Whilst it fully supports both IPv4 and IPv6, at present only rDNS on IPv4 addresses can be instantly configured. Cgroups have been fully implemented, allowing OpenITC to control CPU and Disk I/O. They accept both Paypal & Google Checkout as payment methods and have a 14 day refund policy. As well as allowing VPN and Adult content, IRC is also allowed but only on request. Legal content only. Their nodes are online at the RapidSwitch datacenter in Maidenhead, UK. They are a RIPE NCC member and thus their IP space is fully owned by themselves. From this simple search, they appear to have a lot of it. They have a 100% SLA with their upstream provider. tun / tap support ? Yes, Windows works on our KVM product only. Unsung ninjas of the VPS world. Highly recommended. Well personally I tried to order being and old customer of theirs, but they flagged my order under review and I feel like I have done something bad. Only some accounts currently bypass this check. Your order has probably since been approved, however if not please open a ticket with your account number and security phrase. I’ll try to contact support I guess. I use it in the past and never have problem. Is that true again? I cancelled my last VPS with them because they removed google checkout and the only payment options left were via credit card. Good offers, only problem is my order was put pending like many ones here. Not sure if you really want to do biz? 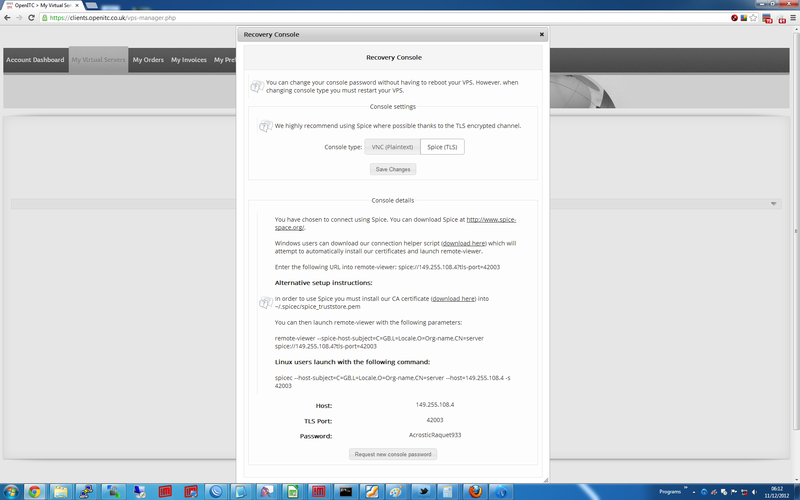 £5 per extra IP? WTF? Currently using an “OpenVZ SSD VPS #1” and it’s great. Epic value for £12 a year. Ordered OpenVZ VPS #3 around 4pm UK time, got the check flag issue like everybody else but it was approved within 5 minutes. Then, each time I tried to setup my VPS (you have to manually provision it yourself) it wouldn’t work. Submitted a ticket. They responded quickly saying they’d take a look. I sent another email around 4 hours ago to ask for an ETA. It’s now 2.30am, still no VPS. No response . Nothing. That should be fixed now. Try re-provisioning and/or an OS reload. Finally activated after a full 24 hours. But well worth the wait as it’s very fast. Downloaded a 4.2GB centos dvd in less than 120 seconds. 1. It hit memory allocation error as i put quite a few rules there. 2. Ip6tables not support mangle. 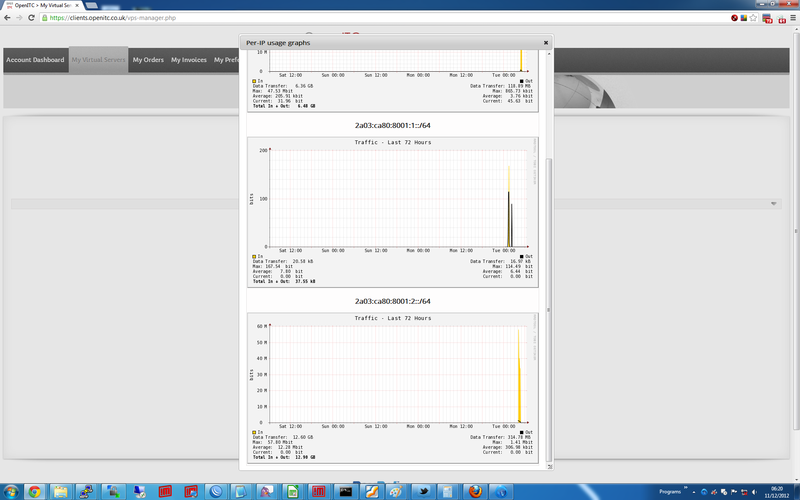 Another problem I found is there is no swap allocated and that’ll be risky if VPS has memory peak sometimes. Same IPTABLES issues here too. I guess they’re trying really hard to provide a great infrastructure but support could be more responsive to let us know what’s going on. What OS’s are available for the OpenVZ packages? Been an open itc user for a while now. In fact they are the first people I got a permanent VPS from. Will recommend their stuff in a heartbeat. Very happy customer, after the first two weeks. Superb, responsive organisation. Would recommend to anyone. Not quite sure why the VPS does not support the iptables MASQUERADE target. But achieved the same effect with an SNAT rule, which works fine. Are you kidding me, I have to send a copy of my drivers license and utility bill??? They canceled my order after I told them I would not be providing a copy of my drivers license and utility bill. Placed order. After 7 hours informed I would have to provide my passport and current utility bill to pre-pay for a VPS. This reads to me as identity theft, not due diligence. With the information they are requesting they could easily open accounts as you. I can understand this kind of scrutiny if they are providing a line of credit, but for something you are *pre-paying* this throws up all kinds of red flags. tl;dr: Will not be using their service as I don’t need my identity stolen. They say they do this to prevent fraud and chargebacks. Even if someone did provide this information, it’s not going to stop them from chargebacks. If they really want to verify people’s identities there are other ways to do this without looking like identity theft (like naming domains you’re registered for). I have some problems running dnsmasq in the vps. It’s a well-known capabilities problem, it’s an openvz misconfiguration. OpenITC are not willing to fix it. Still waiting on ticket raised 3 days ago. Just bought OpenVZ SSD VPS #1 but iptables nat MASQUERADE is not available and I’m wondering why? Anyone know? Does this offer still valid? I tried to order “The Sean Surprise VPS#2” but i got direvps page. The support is just terrible. I’ve been waiting for almost 48h for them to reply me. I can’t even get the vps to run apt-get, because it has no available memory. This node looks like simply overloaded, or something may be causing this. Even though, I submited a cancelation request a few hours ago. What are the port speeds for these plans? ## Measure harddrive performance and latency on your vps/server. ## hdparm is probably already installed. ## Then, in the second console, run this script to stress the filesystem. ## N.B. looping for 100000 iterations will take a while to complete! I’ve had an OpenITC Xen VPS for 3 or 4 years which I use for VPN and have been satisfied with it. So, I signed up for this offer (OpenVZ SSD VPS #1) to replace my current VPS. It’s a little cheaper and with a larger bandwidth allowance, not that I ever came close to the limit, but still. First surprise despite the fact that the advert says it supports VPN, it doesn’t. Second surprise I didn’t sign up with OpenITC at all, I actually signed up with a subsidiary of OpenITC called DireVPS . DireVPS does not support PPP they tell me, so no VPN. 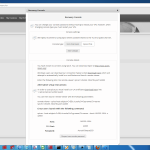 Not only that DireVPS which has different terms of service than OpenITC and does not give refunds. Several email exchanges stating my case follow with very long response times from OpenITC, but no movement. So I started the PayPal dispute process. Instant response from OpenITC’s automated system, at least it is listening. This morning I wake up to find that they have cancelled my existing VPS ahead of schedule too. Well i know the post is from 2014, but OpenITC exist furthermore and the link to their efforts are active. So i’ve ordered a VPS last week. In the confirmation mail it says the service will available in 72 hours. But after 72 hours nothing happend. So i open a ticket and asked when the server are created. First I got the option for about 20£ to prioritize the ticket lol. I choose that not. Now 1 week later i doesn’t get an answer, and the VPS was also not created. I guess they would make no business or the company is strange. Think openitc has dropped off the face of the Earth so wouldnt advise anyone to sign up for any services. VPS down for over a week, no response to emails, support tickets etc.